I need to think of the upside of things again. For instance, one of the nice things about working late is the freedom it gives you to rummage through your coworkers’ desks. Not stealing anything, just looking at their stuff in a lingering, intimate way that would no doubt make them very uncomfortable if they knew you were doing it. I sit in their chairs, read all the post-it notes on their monitors, check out their to-do lists, flip through their CDs. People are fascinating, especially when they’re not around. 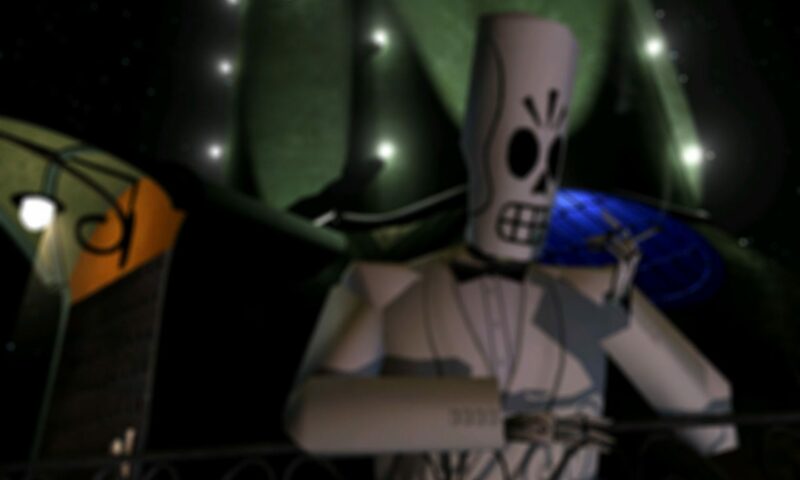 I found something else that’s good for my morale: Grim Fandango fan pages! Just when you’re about to cash it all in, you find something like “Grim Fandango Paradise” by Jadran Mandekic or “Land of the Dead” by Pete Shinners. These guys have excellent web pages up about Grim already, and they make it look really good! I myself might even buy a copy now! They take their Fandango very seriously, which is good because we here take it very seriously too, and it’s good to know that somebody’s looking forward to it besides my mother.